1. How Much Can I Contribute to a Roth IRA Annually? 3. Can a Person Invest in a Roth IRA When Not Employed? Even before a tax year has ended, you may be planning ahead for next year’s investments. If a Roth IRA is on your list of existing (or potential) retirement savings plans, and you’ve already contributed the maximum allowable amount for this year, you may be ready to invest next year’s portion as soon as possible. Although you can’t claim any Roth IRA contributions as deductions on your income tax return, and they don’t offer a short-term tax benefit, you’ll enjoy tax-free withdrawals at retirement. Jan. 1 in the current tax year is the earliest possible date to make a contribution for the following year's Roth IRA. Because of the Roth IRA’s extended contribution window, the deposit you make on Jan. 1 could be for the current tax year as well as the next tax year. The reason for the overlap is that the deadline for contributing to a Roth IRA doesn’t end with the last day of the year (Dec. 31). 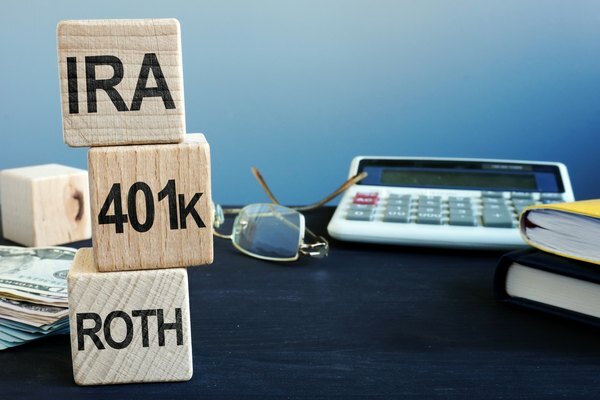 You can continue to make contributions to your Roth IRA for a current tax year through the tax-return filing deadline for that year, which typically falls on April 15 of the following year. (If April 15 is on a weekend or federal holiday, the due date falls on the next business day). For example, the contributions you make in 2019 from Jan. 1 through April 15 may be for tax year 2018 or tax year 2019. When you make your contribution, you’ll simply designate which year to apply the contribution. You can make your 2018 contribution, for example, in January 2019. And then you can also make your 2019 contribution in January 2019 after you meet your 2018 contribution limit. If you exceed the maximum Roth IRA contribution limit each year, you may face a penalty, which is typically assessed as a 6 percent excise tax on the overage. Maximum IRA contribution limits can change from year to year, depending on tax legislation. For the 2019 tax year, you can contribute a maximum amount of $6,000 (or $7,000 if you’re 50 years of age or older). For tax years 2015 through 2018, the cap on Roth IRA contributions is $5,500 (or $6,500 if you’re 50 years of age or older). Your contribution cannot exceed your annual taxable income, even if your income is below the maximum contribution cap. The Roth IRA maximum contribution limit represents the total contributions you make to your Roth IRA as well as any traditional IRA accounts you may have. You may not be able to contribute the maximum amount to your Roth IRA if your modified adjusted gross income exceeds IRS guidelines. Table 2-1 (Effect of Modified AGI on Roth IRA Contributions) in IRS Publication 590-A (Contributions to Individual Retirement Arrangements [IRAs]) reveals if this reduction affects you. If you can only contribute a reduced amount, complete Worksheet 2-2 (Determining Your Reduced Roth IRA Contribution Limit) to figure your allowable contribution amount. This worksheet is also contained in Publication 590-A. Visit IRS.gov/forms and search for this publication to view, download or print it. Contributions to a Roth IRA must be made from “earned income” instead of “unearned income.” Allowable earned income includes wages, salaries, commissions and self-employed income. Disallowed unearned income includes dividends, interest income and pensions. The IRS makes an exception to its earned-income requirement by allowing alimony and separate maintenance as sources of Roth IRA contributions. The qualifying income that makes you eligible to contribute to a Roth IRA is your modified adjusted gross income, which you’ll figure by using Worksheet 2-1 (Contributions to Individual Retirement Arrangements [IRAs]) in Publication 590-A. Married filing separately. If you lived with your spouse during any part of the tax year, and your modified adjusted gross income is less than $10,000, you can only contribute a reduced amount. Married filing jointly or qualifying widow(er). To contribute the maximum amount, your modified adjusted gross income must be less than $189,000. If your modified adjusted gross income is greater than or equal to $189,000 but less than $199,000, you can only contribute a reduced amount. Married filing jointly or qualifying widow(er). To contribute the maximum amount, your modified adjusted gross income must be less than $193,000. If your modified adjusted gross income is greater than or equal to $193,000 but less than $203,000, you can only contribute a reduced amount. Roth IRA contributions are not allowable tax deductions. Roth IRA account holders may continue to contribute past the age of 70 1/2. Roth IRA accounts do not carry a requirement for mandatory withdrawals. In fact, account holders can leave the funds in their account for their heirs. When the Roth IRA debuted in 1997 as an alternative to traditional IRAs, its tax benefit was the opposite. Unlike traditional IRAs, which held tax-deferred contributions, Roth IRA contributions were taxed before being made. At retirement, when traditional IRA account holders have to pay income tax on their withdrawals, Roth IRA taxpayers receive their withdrawals tax-free. And the icing on the cake is that the interest that accumulates as a Roth IRA grows is also tax-free. If you find yourself in a financial crisis, you can withdraw any amount of the contributions you’ve made to your IRA at any time without paying income taxes or penalties, with an emphasis on “contributions.” Contributions are the amounts that you deposit into your Roth IRA, compared to your “earnings,” which represent the interest your Roth IRA earns over time. If you’ve held your Roth IRA for at least five years and you’re older than age 59 1/2, you can also withdraw any amount of your earnings, tax- and penalty-free. Can Excess Roth IRA Contributions Be Transferred From My IRA to My Spouse's? Can I Transfer Funds From My Brokerage Account Direct to a Roth IRA?